On Saturday, December 2, 2017, a record 218 middle school debaters from 20 schools combined into 78 teams to debate the motion: This House would institute year-round schooling. Proposition prevailed in 62% of the 117 debates. The team of Halle Hunt, Ava Prevey, and Nathaniel Valdivieso from The Hive won the final round on Proposition. Click here for complete tournament results. Thank you to coach Michael Panoli and the entire Middlebrook (Wilton) community for hosting. Additional thanks go out to the many high school debaters, coaches, teachers and parents who judged. And, of course, we are deeply grateful to The Greenwich Branch of the English Speaking Union and Director Robert Whitby for sponsoring the league. 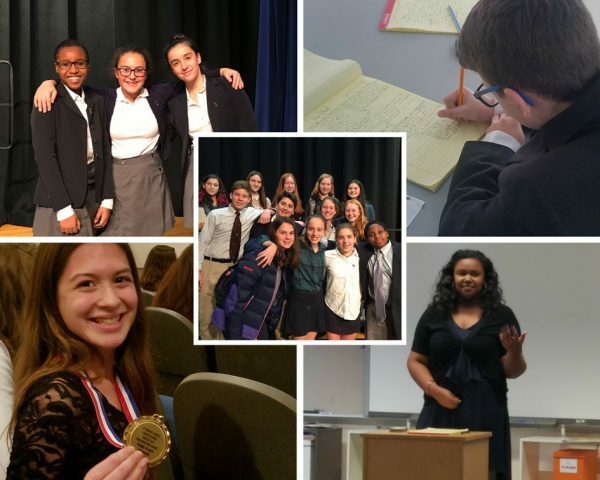 The Connecticut Middle School Debate League’s next tournament will be held on Saturday, January 27, 2018, at Smith Middle School in Glastonbury. The motion will be: This House would eliminate executive pardons and commutations. Visit the CTMSDL website for more information about the CTMSDL.